Home / Good Billboard Advertising? I’ve been incredibly busy lately, so just a few quick things to catch up on, today. You know, it would seem to me that of all the advertising media in existence… billboard advertising is some of the most wasted. It’s really odd what people put up on billboards. For some reason, most advertisers just seem to treat a billboard like an abbreviated business card. Of course, most people throw business cards away, virtually immediately. Primarily because most business cards say nothing other than your name, phone number and address. Which is about as compelling as the new shelf down at your local library. But billboards say even LESS! I get it that readers don’t have all day, but at least make an offer and point them to a website. I mean, you don’t have to be an advertising genius to come up with that kind of ad copy. But my Lord, most people give you nothing to work with, at all. Literally no reason to pay any attention to the damn thing, period. At least business cards only cost a hundred bucks for a few thousand. Billboard costs are off the charts – maybe $5000 – $20,000 depending on your location. Anyway, the second thing I want to tell you is, yesterday I was visiting my granddaughter in the hospital. She’s better now – but she had a pretty bad allergic reaction at the time. I was sitting down with her and there was a child’s toy on the floor. It was of those old fake telephones. 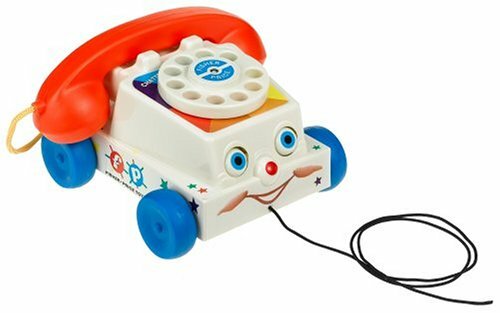 The one with the rotary dial and the handset with the curled cord attaching it to the phone itself. There isn’t a baby born any time within the last 5 years that will recognize or have any idea at all what this thing is. I find it odd they still make these, don’t you? You know what the difference is, between God, and a surgeon?